Maple Ridge Community Church in Maple Ridge, British Columbia began services in 1984, and formally organized in 1985, the year it joined the British Columbia Conference of Mennonite Brethren (MB) Churches. Ed Goerzen and a steering committee are considered the founding leaders of the group. The congregation originated through outreach by the British Columbia MB Conference's Board of Church Extension. The congregation was established out of the desire of several families for a church in their own community. In 2010 the congregation's membership was 125 and the average weekly attendance was 209. Epp, Marlene and Andrew Klager. "Maple Ridge Community Church (Maple Ridge, British Columbia, Canada)." Global Anabaptist Mennonite Encyclopedia Online. November 2010. Web. 21 Apr 2019. http://gameo.org/index.php?title=Maple_Ridge_Community_Church_(Maple_Ridge,_British_Columbia,_Canada)&oldid=142970. Epp, Marlene and Andrew Klager. (November 2010). Maple Ridge Community Church (Maple Ridge, British Columbia, Canada). Global Anabaptist Mennonite Encyclopedia Online. 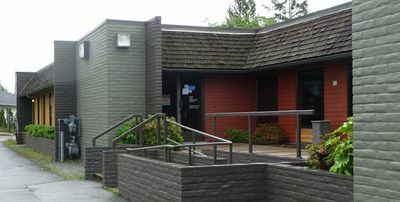 Retrieved 21 April 2019, from http://gameo.org/index.php?title=Maple_Ridge_Community_Church_(Maple_Ridge,_British_Columbia,_Canada)&oldid=142970.